Holomatter is a group of international artists from Italy, Korea and Germany. They have been cooperating and combining the diverse media that they each work with – such as performance, installation, sound/web design, sculpture and architecture – for a number of years on a project-specific basis. The term ‘Holomatter’ comes from the sci-fi genre and refers to artificial environments for reproductive purposes. Force fields create an illusion here that gives objects an impression of solidity. Everything can be reproduced. Here, the term refers to the possibility of simulating a reality and depicting this reality from the perspective of an intelligent cleaning system with the aid of robot vacuum cleaners. And might it also refer to the possibility of objective truth? 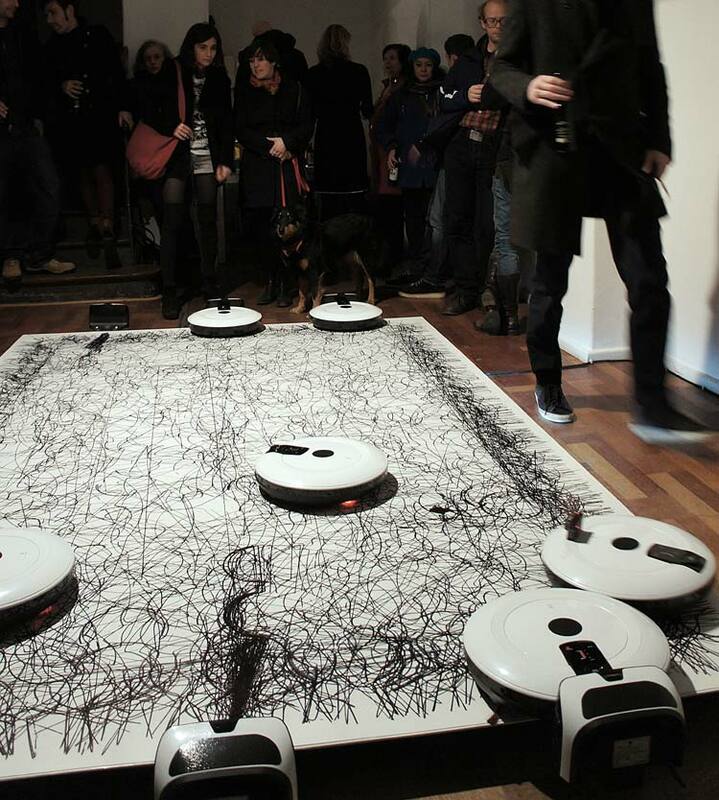 The exhibition room is explored by six ‘Sisybots’ vacuum- cleaning robots which follow seemingly random patterns. However, in the case of the always dutiful Sisybot – a combination of the words Sisyphus and robot – there is also the question of the sense and purpose of equipment designed to help out with the housework. Can one be trapped and secure in a virtuality controlled by others? And do Androids dream of electric sheep? 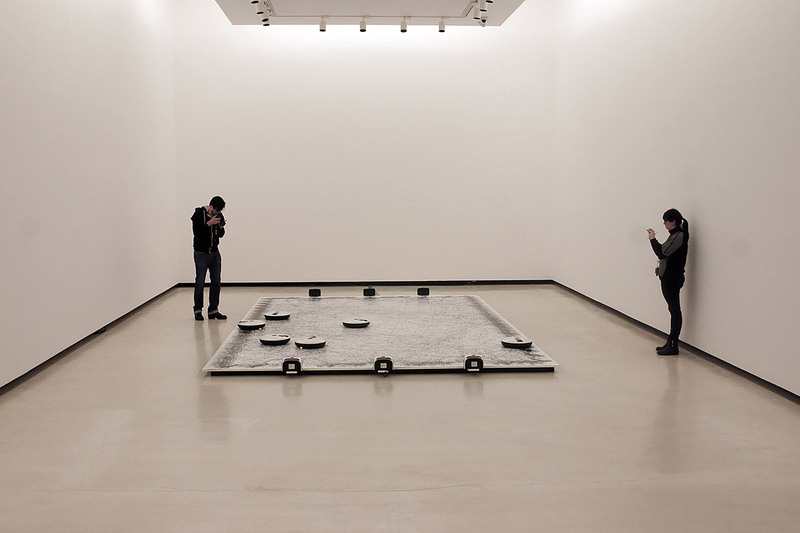 This autonomous system can monitor its surroundings using cameras and sensors, and can thus react to similar systems, visitors and the room in an interactive manner. During the exhibition visitors will be able to see for themselves whether the loss of societal identity has already come true or whether more about the intelligence of machines will become perceptible in this utopian reality.